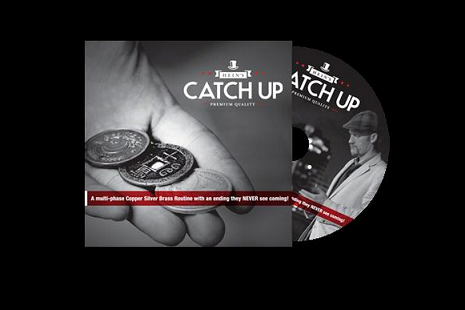 "Hein's Catch Up" is a 5 phase coin routine will devastate your audiences. Karl's unique in the hands approach to the traditional Copper/Silver/Brass Gimmick is a real step forward and is thoroughly engaging to watch. The DVD also includes a BONUS one coin routine with a surprising Extra Large Jumbo Coin Production that will destroy your audiences in close-up environments.